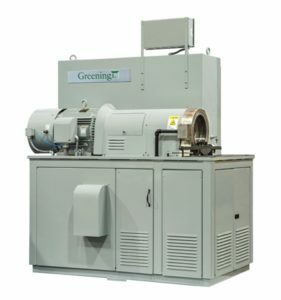 Quality Statement - Greening Inc.
Greening’s objective is to provide equipment and testing services that meet established standards for consistency, accuracy, and fitness for purpose to provide the best possible value to our clients. Our commitment to clients is a professional and confidential service, adhering to the highest levels of business ethics. The integrity of all samples that are submitted to us for testing, from the time we receive them until the results are accepted by the customer. All samples are tested on properly calibrated and maintained instruments, using validated test procedures. All data is characterized, quantified, validated and checked according to our high quality standards. Our key quality policies meet or exceed the International Organization for Standardization’s ISO/IEC 17025 General Requirements for the Competence of Testing and Calibration Laboratories. The testing processes that Greening employs are audited internally and externally on a frequent basis by both our accrediting organizations and our customers. In addition, all processes are continually reviewed by our management team to ensure that we adhere to, and continue to improve, our Quality System. Contact us to learn more about the quality of our work, and how it translates into helping ensure your products perform to the exacting standards to which they are designed.